Participation in clubs and activities helps students develop a sense of camaraderie and make friendships based on common interests. We encourage students to get involved and have some fun while they learn new skills. Qualifying high school and middle school students may participate in our National Honor Society and Junior National Honor Society chapters. Recognizing that today’s students need more than just good grades, we focus on service and leadership to help students build important life skills to carry into their future. Membership in NHS or NJHS is by nomination only. We’re not shy about tooting our own horn—and the Falcon Band program is just the place to do it. Students involved in band enjoy marching on the field at halftime during football season, performing concerts throughout the school year, and preparing for and participating in large group, ensemble, and solo competitions. Loving Municipal grows tomorrow’s leaders. Students get a taste of what it takes to run a campaign, gain experience acting on behalf of their peers, and learn the advantages and limitations of working as a government body. 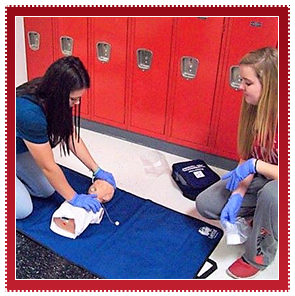 High school students gain important workforce skills by participating in educational programs, events, and competitions that support career and technical education (CTE).